In the Bluegrass state of Kentucky, the bourbon industry accounts for $8.5 billion in business annually, and Bourbon tourism attracted over 1 million distillery visits last year, attendance tripling over the past decade. Our recent Spring Break vacation took us through Bourbon Country in the state of Kentucky. 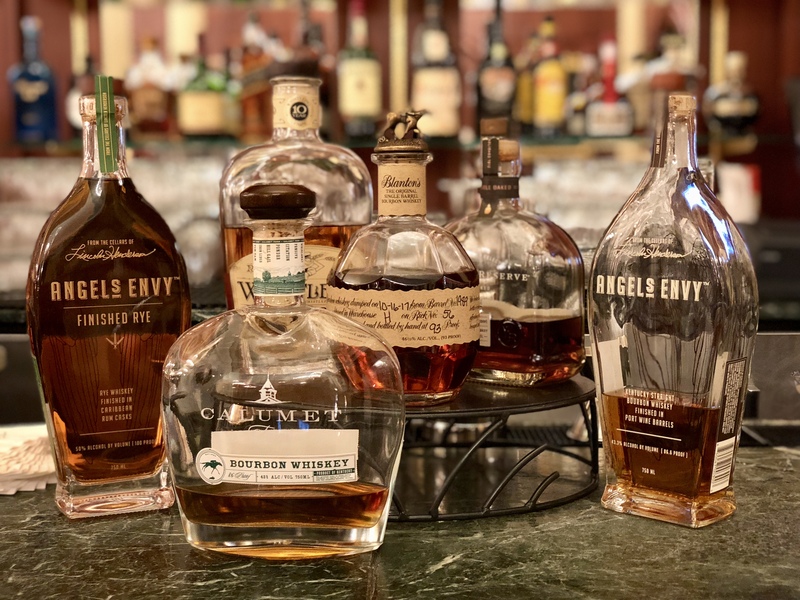 Home to distilleries such as Woodford Reserve, Angel’s Envy, and Buffalo Trace, these distilleries are becoming a popular destination hangout. I personally don’t drink Bourbon (more of a wine and beer kind of girl) but my husband loves a high quality, well bodied Bourbon. We stopped in for a tour of the acclaimed Buffalo Trace Distillery. Buffalo Trace has been making legendary bourbon whiskey for over 200 years. Buffalo Trace is the oldest continuously operating distillery in America. During Prohibition the distillery was even permitted to remain operational, to make whiskey for “medicinal purposes”. Within the past decade, Buffalo Trace has won more awards than any other distillery in the world, including seven “Distillery of the Year” titles. American family owned and located in Franklin County, Kentucky, the distillery sprawls over 130 acres and is home to centuries of architecture – all still fully operational. The whiskey vault at the distillery holds some of the finest Bourbons in the world. The very rare, limited edition “Pappy Van Winkle” Bourbon, made at the distillery, is one of the finest Bourbons in the world, each barrel ages for 23 years. It is unknown how many cases are available each year, but it is incredibly difficult to acquire a bottle. In Virgina, a lottery is held each year around Christmas time. With over 25,000 entries for one bottle, the lucky winner will earn the right to purchase this rare Bourbon. My husband has been trying to acquire a bottle of Pappy Van Winkle for years, still no luck. The retail section of the distillery sells shirts, hats, shot glasses, candles, barbeque sauce and Bourbons. While most Bourbon is made from a mash of corn, rye and barley, the Van Winkle recipe calls for a sweeter mix of corn, wheat and barley malt. The wheat allows for more graceful aging. During our visit to the distillery we were shown how the evaporation of Bourbon over the years decreases the supply. You can see how Bourbon begins it’s life in a full barrel, and after 18 years how little is left. Since Pappy Van Winkle ages for 23 years, the supply is very limited when bottled. We were taken into one of the warehouses aging Buffalo Trace Bourbon. The Bourbon ages in new oak barrels for years in century old warehouses. A strong scent of Bourbon permeated the warehouse, caused by the liquid’s evaporation. After the barrels have been used to create Bourbons, they are picked up by beer producers and used in the making of fine beers such as Sam Adams. The distillery has been named a “National Historic Landmark” recognized by the United States Government for it’s outstanding historic significance. We were allowed to visit the bottling section of the distillery. The workers at the distillery were busy bottling Blanton’s Bourbon Whiskey. Blanton’s Original was once designated for ambassadors, dignitaries, and Colonel Blanton’s family and friends. Today, everyone has access to the world’s first single barrel Bourbon. Blanton’s taste is sweet with citrus and oak. A creamy vanilla nose features hints of nuts, caramel, orange and light chocolate. Our tour ended with a tasting of some of Buffalo Trace’s Bourbons and Vodka. The Bourbon taste is rich, with hints of vanilla, toffee and candied fruit. Rich in history, it was a pleasure visiting this 200 year old distillery. Corn, rye, wheat and barley — the four ingredients distilleries are using to create Bourbons and Whiskies are riding a wave of popularity like never before. How about you, what is your favorite drink? What a charming and fascinating place! Wonderful photos, too! <3 and hugs! It really was interesting to visit such a historic landmark! Hugs back at you Lynn!